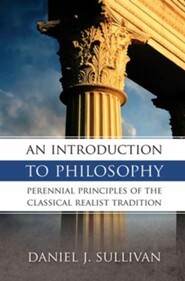 AN INTRODUCTION TO PHILOSOPHY by Daniel J. Sullivan is intended for the general reader as well as for the student. Its primary purpose is to present the elements of philosophy with simplicity and clarity in order to arouse that sense of wonder which Aristotle says is the beginning of the love of wisdom. AN INTRODUCTION TO PHILOSOPHY clearly demonstrates that philosophy is a good deal more than a classroom exercise. 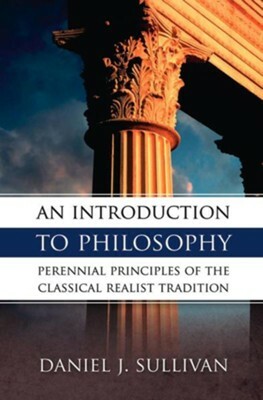 Daniel J. Sullivan intended An Introduction to Philosophy to be used by the general reader as well as the student. A secondary purpose, as mentioned in the foreword, was to smooth the transition from literary imagery to philosophical abstraction. The book was dedicated to Emmanuel C. Chapman and published in 1957 by The Bruce Publishing Company, based in Milwaukee. It received the Nihil Obstat as well as the Imprimatur and was reprinted in 1992 and again in 2009. I'm the author/artist and I want to review An Introduction to Philosophy.